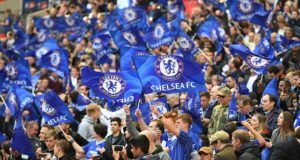 New Chelsea boss Jose Mourinho must shift the dead wood at Stamford Bridge before bringing in new talent as the Blues squad swells with the arrival of newcomers this early summer. On-loan striker Romelu Lukaku returns to the club a transformed man, while Jose confirmed his first signing of a new era last week, rocking the Premier League transfer betting odds by splashing out £18m for German striker Andre Schurrle. These two arrivals mean Chelsea now have four first-team strikers and if Jose wants another then he must sell one of the quartet first. We’ve seen before that possessing the wrong mix of forwards is bad for squad harmony and in the 2006/07 season that issue cost Mourinho his job. Having been crowned champions in ’06 it was clear the Blues needed extra firepower to progress in Europe and right at the start of the transfer window Roman Abramovich bought Andrey Shevchenko for £30m. Mourinho had to quickly sell two strikers – Eidur Gudjohnsen and Carlton Cole – to make up the numbers and that destabilised things heading into the campaign, for Didier Drogba presumed he was still the main man. The same happened with Claudio Ranieri in 2003/04. 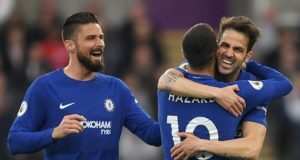 He had four strikers on the books in late August but that didn’t stop him spending over £16m on Hernan Crespo, an arrival that threw Chelsea’s forward line into complete confusion. Mourinho mustn’t let the same confusion settle at Stamford Bridge and if he’s to bring in forwards to accompany Lukaku and Schurrle then either Demba Ba or Fernando Torres must leave first. It is as yet unknown what the manager’s plans are for these two strikers but football betting fans wouldn’t be surprised if they both departed this summer. Despite his nightmare stint at the club Torres could be sold quickly while Ba – a stopgap over last season – would easily find a place somewhere else. It does help that Andre Schurrle is capable of playing in other positions – as a winger – as well. However, this in turn will increase competition in the midfield. 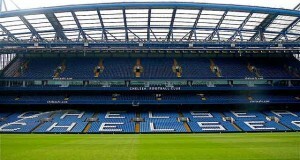 A new era has dawned on Chelsea and with two fresh, hungry strikers to lead the way these are exciting times. Jose must get his transfer policy right and not simply buy for the sake of buying, for that has cost the Blues dearly in recent times. We have a good youth system, but the constant rotation of managers is not allowing them to come through. Buy a tough and skilful DM to replace Mikel and Essien. Romeo will partner the DM for the season. Torres should be the first one out, poor record in the league, does not suit Chelsea’s style and will probably warm the bench with heavy wages if Cavani arrives. good opinion i strongly proceed that let stop this striker issue now ba and torres should go and pave way for new striker if we have rooney he will play 9 verywell and lukaku and schurrle will support him i think that will solve our striker problem.